Author Zion NefeshPosted on April 20, 2009 Categories Genesis, Torah3 Comments on Vayechi – The Architect signed his work. Chayei Sarah – Resurrection of the dead. The Torah tells us that she died in Kiryat Arba (meaning city of four) and continues immediately and explains that Kiryat Arba is Hebron. The root word is " חֶבְר " and it means connection of two sides. Avraham found the cave in the fields that belongs to Efron. He could see the image of Adam and Eve. He also saw that they were buried by the entrance to the Garden of Eden that was in the cave of Machpelah (from the root word " כפל " \’double\’ in Hebrew). The ten spiritual giants who are buried in the \’cave of the double\’, in Hebron , signify the importance of the place and the connection between the upper and lower. The Zohar refers to the Machpela as the place of connecting upper and lower Jerusalem . Avraham bought the land form Efron. His name comes from the word " עפר ", which means dust of the earth. The numerical value is 350. Efron is written in the Torah as " עֶפְרוֹן " When Avraham paid him for the field and the cave (Genesis 23:16 ) his name was written as " עֶפְרֹן " with the letter Vav missing from the name. That makes the numerical value of 400, the exact amount Avraham paid for his purchase. The commentator "Baal Haturim" also mentions that " עֶפְרֹן " has the same numerical value of " עין־רע ", "evil eye". We learn a great lesson from this transaction. When we pay the full price, we take ownership and remove any negativity from the deal. Avraham took the Vav from Efron, that letter represents the pipe and the connection of upper and lower. At the same time he controlled Efron\’s evil eye. The Zohar tells us a story of King Solomon that one day he took control over the king of demons. King Solomon asked him what is the best advice he can give him and the answer was "Pay full price to avoid the negativity from coming in". One important point from the Zohar is about the existence of the special bone in a body named " עצם־הלוז ". This bone is not connected to or fed by the body. It is a tiny bone in an unknown place between the head and the body. There are several opinions to the actual place but the Ari (Rabbi Isaac Luria) and Rabbi Avraham Azulai said that its place is at the base of the neck. It could not be anywhere else because the head represents the top three Sefirot (Keter Chokmah and Binah) and the body connects to the lower seven Sefirot. The Zohar explains that when the special dew " טל " (The deeper meaning is the " יהו " in Milui or " יוד־הא־ואו "), will come down from heaven (upper three Sefirot), it will touch the neck bone and will get soften and expand to four directions to form the body anew. The Zohar also describes that G-d took dust " עפר " from the earth and spread it to four directions to create Adam. When it says " כי-עפר אתה, ואל-עפר תשוב " "for you are dust, and unto dust you shall return." we see the past and the future. It doesn\’t say into the ground as in death of the body, but to " עפר ", which is the seed of its creation and its resurrection. We learn from the Zohar that the neck bone " עצם־הלוז " (numerical value is 248), is the starting point in creating Adam\’s body. " עפר " (dust) also appears first time in the creation of Adam. Genesis 2:7 " וַיִּיצֶר יְהוָה אֱלֹהִים אֶת-הָאָדָם, עָפָר מִן-הָאֲדָמָה " "Then G-d formed man of the dust of the ground". That dust is the seed of the physical body encapsulate into the neck bone " עצם־הלוז ", which is immortal. It will stay until the resurrection of the Dead. It is interesting to know that babies are born with 350 bones in their body. 350 is the numerical value of " עָפָר ", dust. As the baby grows to become adult, many bones fused together to form 206 bones and 42 joints and together 248. It is the same numerical value as Avraham and " עצם־הלוז " (neck bone).
" עפר " is " ע " = 70 + " פר "= 280 = " םןץףך ". Some of you will understand this but the main point is to understand that Avraham bought more than a piece of real estate; he bought a future for us. 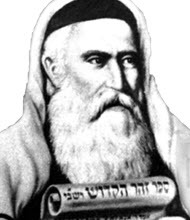 This week, on the 24 th of Mar Cheshvan, is the Hillulah of Rabbi Avraham Azulai, a great Kabbalist who was born in Morocco , lived and died in Hebron . He had the opportunity to get into the Garden of Eden and come out alive. In his book "Chessed L\’Avraham" he reveals many Kabbalah Secrets. I will send a separate email related to this. Author Zion NefeshPosted on April 20, 2009 Categories Genesis, TorahLeave a comment on Chayei Sarah – Resurrection of the dead.